The renowned English-born, New York–based Carlton Hobbs, a specialist in 17th- through 19th-century Continental and British antiques, reveals the story behind a fantastic pair of fireplace surrounds — and the factors that determined their price. A native of England, the New York dealer Carlton Hobbs specializes in British and Continental furniture and art from the 17th through 19th centuries. He focuses in particular on unique and exceptional pieces; they’re often attributed to famed makers or come with a royal or aristocratic provenance. These he displays in his three-story New York gallery, a palatially proportioned mansion that once belonged to a member of the Vanderbilt family. Here, he tells the story of a particularly special offering. Even in this grand setting, a pair of 18th-century English chimneypieces, which Hobbs has priced at $2.8 million, is showstopping. Each one is 72 inches high, almost 120 inches wide and 26 inches deep. They were clearly designed for a very large hall — and to impress anyone who walked into it. “Their scale is monumental,” Hobbs says. Above the frieze is a protruding cornice with deep egg-and-dart and dentil moldings that create dramatic shadows. There are also female figures balancing baskets on their heads. These are herms, “named after Hermes, the god of travel,” Hobbs explains. Herms originated in ancient Greece as a tapered pillar continuing from a sculpted bust and traditionally served as boundary markers. These iterations are basket-bearers, young unmarried women who led festival processions in ancient Greece. Their baskets carried the articles needed for a sacrifice. The name of the carver is not known, but his work recalls that of an earlier virtuoso, the Dutch-British sculptor Grinling Gibbons, who was known for creating naturalistic stone and lime-wood garlands of flowers and game for some of the grandest mantelpieces in England. On Hobbs’s chimneypieces, each blossom in the garlands is identifiable: roses, sunflowers, bell and trumpet flowers. 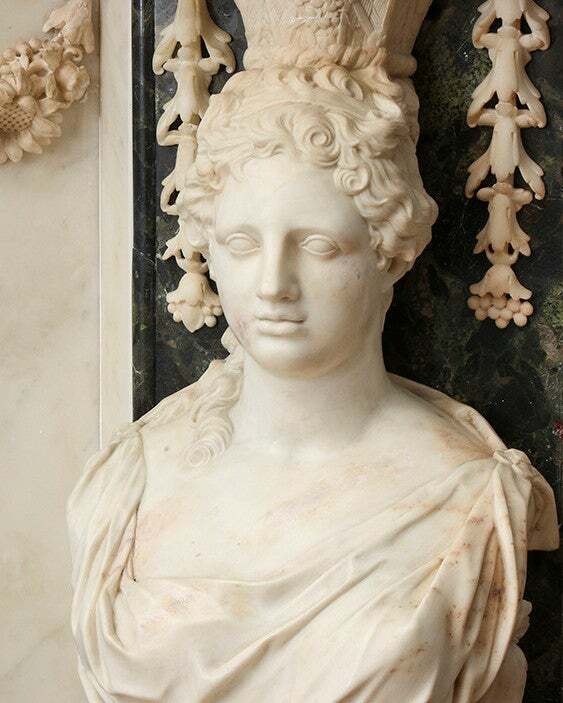 The marble is so translucent and their expressions so lifelike, the innocent young women, pearls and roses woven through their hair, seem to be breathing. 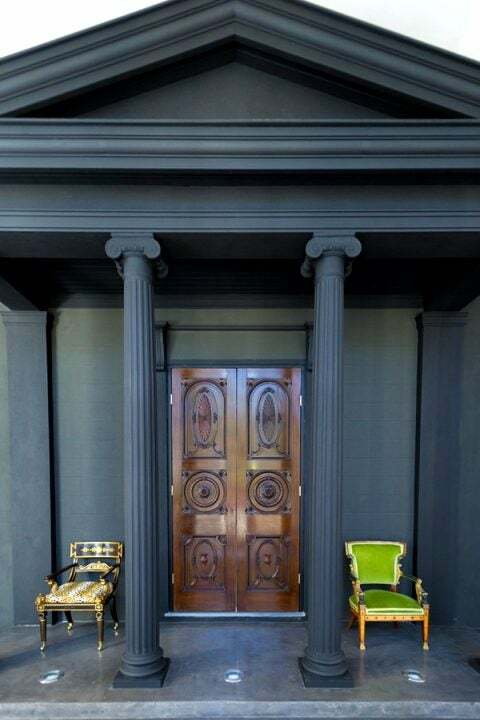 Quite apart from their daring design, immense scale, superb carving, quality materials and fine condition, this pair has an even more striking distinction: They are the rare architectural elements from an early 18th-century English Palladian-style country house — Wanstead House, which was intended to rival Blenheim Palace — to have crossed the Atlantic. “They left England in the nineteen-seventies, before all the stringent regulations were in place regarding the export of national treasures,” says Hobbs “They would not be let out now.” He found them in Vancouver, Canada, where they had been in storage for decades. 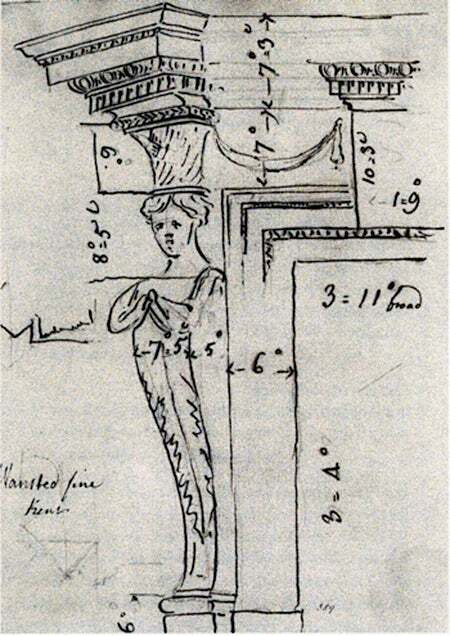 A circa 1756 sketch by the architect William Chambers of the chimneypieces at Wanstead House, where Kent designed some of the interiors. According to Merriam-Webster, the definition of provenance is “the history of ownership of a valued object or work of art.” In the case of treasures nearly 300 years old, their history can be a mystery, or else involve several owners. When provenance is known, however, it can help attribute the piece to a designer or workshop. After much research, Hobbs says his chimneypieces were “possibly” designed by William Kent (1685–1748), the polymath English painter, architect, decorator, book illustrator, theater designer and landscape gardener. 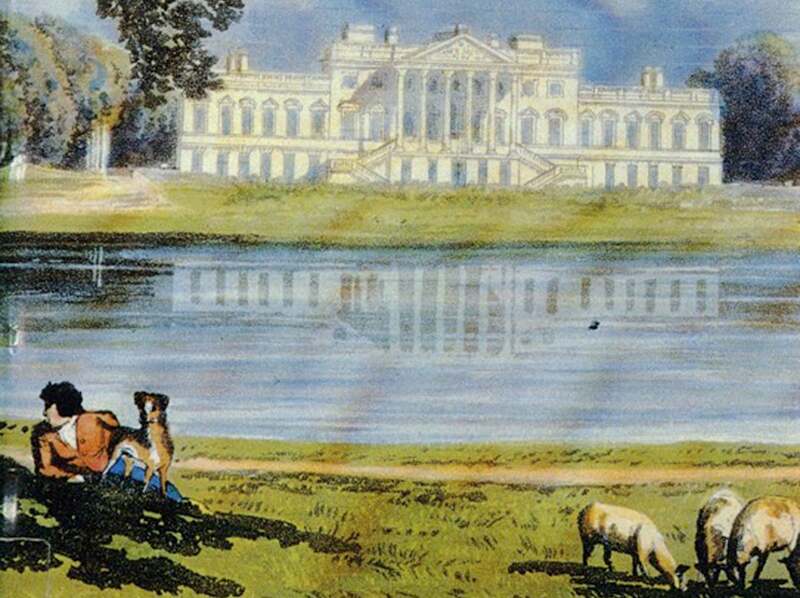 Kent designed everything from the royal barge to country houses to city mansions for King George and Lord Burlington, among others. 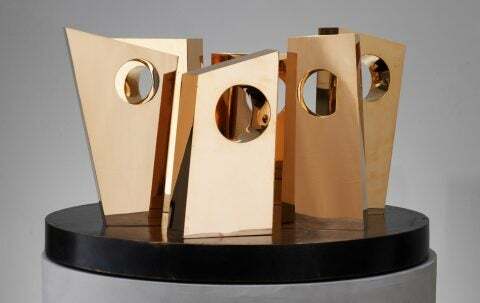 In America, he is perhaps best known for the dazzling pieces of furniture included in the “Treasure Houses of Britain” exhibition at the National Gallery in Washington, D.C., in 1985. In England, he is considered the father of the Anglo-Palladian style that dominated the 18th century. Particularly passionate about well-documented provenance and the study that establishes it, Hobbs has his own research department and an antiques archive of several thousand books and source materials. He is noted for his academic approach to the acquisition of historically significant antiques, which may explain his success over the years in selling pieces to the Louvre, the Getty, the Rijksmuseum and the Museum of Fine Arts, Boston. Hobbs moved towards the Kent attribution after finding a sketch of a chimneypiece at London’s Victoria & Albert Museum that is nearly identical to these items. It depicts a chimneypiece at Wanstead House that the architect William Chambers drew while visiting in 1756. In 1715, the rich banker Sir Richard Child, Viscount Castlemaine, hired the architect Colen Campbell to design England’s first great Anglo-Palladian country house eight miles northeast of London. Then Child asked his friend Kent, by all accounts a witty, erudite, amiable man, to paint several ceilings and design some of the interiors. A photograph of the interior of Lionel Rothschild’s 1858 London mansion on Hyde Park Corner shows the Hobbs mantelpiece in situ. It was removed from the house prior to its demolition after World War II. A century later, in 1822, Wanstead House was stripped of its contents when the gambling debts of Child’s descendants led them to bankruptcy. An auction of its furnishings and decoration, held on the premises, took more than 30 days, but it didn’t raise enough money to pay off the creditors, and the house was sold and soon demolished. Hobbs found an account of the sale from 1823 that shows the new owners had “sold a pair of marble chimneypieces for 300 guineas” — a fortune at the time. Hobbs also discovered a photograph of the interior of the London mansion that Lionel Rothschild bought in 1858 at 148 Piccadilly on Hyde Park Corner. 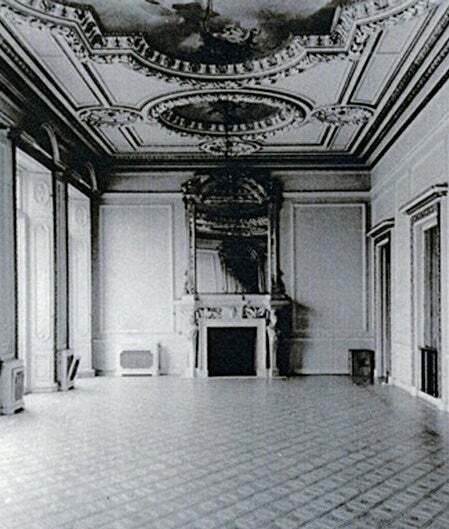 There, in one of the grand rooms, is one of his chimneypieces, which were removed in 1959 prior to the house’s demolition. The chimneypieces were salvaged, sold and somehow ended up in Vancouver, where Hobbs rescued them. Kent, and 18th-century English furniture, have gone in and out of style for centuries, though prices for the best pieces have steadily increased. As it happens, Kent is the subject of an ambitious, just-opened exhibition running through February 9, 2014, at the Bard Graduate Center’s gallery, in Manhattan. That show has an eight-pound catalog written by top scholars of English furniture, and among its 688 pages and hundreds of illustrations are some dozen references to Wanstead House. Hobbs’s mantels, though not in the exhibit, will undoubtedly attract a lot of attention. 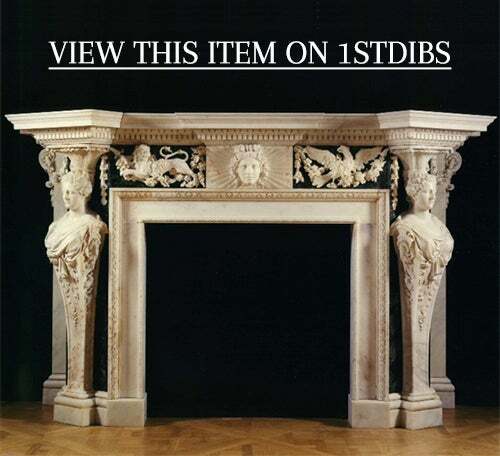 The Kentian mantle now installed in one of the grand salons of the Carlton Hobbs gallery, a former Vanderbilt mansion, on East 93rd Street in Manhattan. “How do you value them?” Hobbs asks rhetorically. “One huge factor is such a pair are no longer allowed out of England.” Although I could find nothing comparable on the market right now, there are two auction prices worth noting: In October 2010, at the so-called “Chatsworth Attic Sale” of pieces being deaccessioned by the Devonshires, two chimneypieces were attributed to Kent, who did a lot of work for the family. A simpler, smaller gray-veined mantelpiece with garlands of fruit and an egg-and-dart border that Kent designed for the Devonshire House dining room sold for £365,250, or $585,000 at today’s exchange rate. 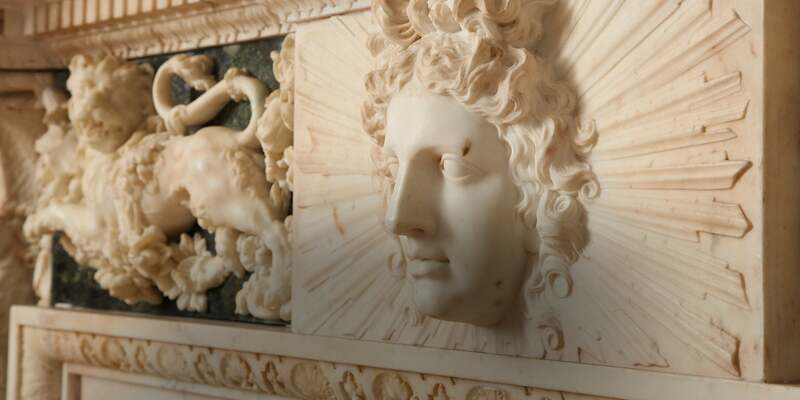 The second one, in creamy white marble, boasts a bas-relief heifer head (Jupiter, perhaps? ); Kent designed it for the grand entrance to the Duke of Devonshire’s house in Piccadilly. (The house was torn down in the 1920s.) It sold for £565,250, or $884,000 at today’s exchange rate. Hobbs’s price of $2.8 million considerably exceeds those numbers, but then Hobbs is selling a rare matched pair of far more impressive grandeur and flair. And even though the dealer cannot definitively prove that his pair is by Kent, he says, with typical understatement, “There’s a strong case for it.” There is no doubt the chimneypieces feel Kentian: robust, overscaled, bold, the very embodiment of a “wow” factor that only Kent could produce. The marble carving is so detailed that you can count the teeth in the mouth of the prancing lion and easily identify the fruits and flowers. The late real-estate scion David Roche wanted a collection that rivaled the Frick’s — and now his passion is paying off.